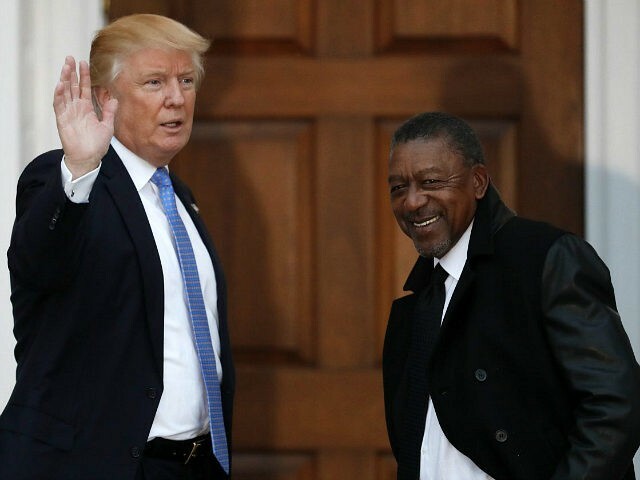 Black Entertainment Television (BET) founder Robert Johnson said that President Donald Trump is one of the best things to ever happen to the job market for black Americans. Appearing on CNBC’s Squawk Box, the self-made billionaire insisted that despite the current lower-than-expected number of jobs created in March, the Trump economy is strong. “When you look at that [January report], you have to say something is going right,” said the Democratic entrepreneur. Johnson then added that Trump has been a boon for the black community. At the end of 2016, Johnson insisted that he turned down a position in Trump’s administration because he does not want any sort of government job. During his campaign, Trump insisted that he would sponsor policies that would create a “new deal” for blacks in America. And Johnson himself added that Trump had committed to “reach out” to black Americans.